Home › Yarns › You could tell a drowned man’s port of origin by the pattern on his Gansey. You could tell a drowned man’s port of origin by the pattern on his Gansey. 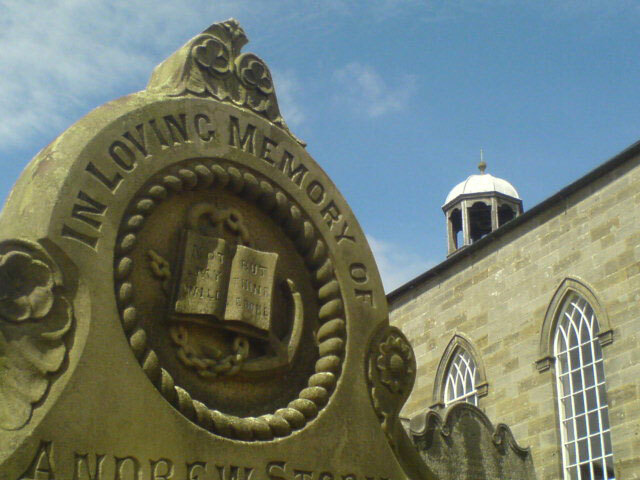 Most men washed overboard were considered to be buried at sea. It was hugely impractical to transport a corpse & no parish would want to stand the cost of burying a stranger. There are over 800 graves in the churchyard at Old St Stephen’s Church, in Robin Hoods Bay on the N. Yorkshire coast. Many of them commemorate mariners. Only 4 are ‘drowned & found’. Queen Victoria never fancied a fisherman so unlike tartan, Ganseys never got the official treatment & design elements flowed back & forth like good tunes as fisher folk met, moved & married. Imagine you’re a herring lassie from Arbroath; down in Whitby you catch the eye of a local lad. What pattern should you knit for his 1st Gansey? Speed-dating’s one thing – knitting your fiance his shroud is, as they say, a bit previous. 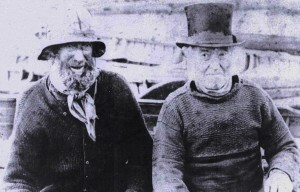 A Suffolk ferryman fancies a Gansey; his Cornish mate gets his wife to knit him one. Lads from rural Suffolk signing on as crew on fishing boats out of Yarmouth were known as Joskins & would have thought nothing of wearing their Ganseys back at home. A hundred years later photographs emerge. Is this evidence of a Suffolk Gansey tradition? 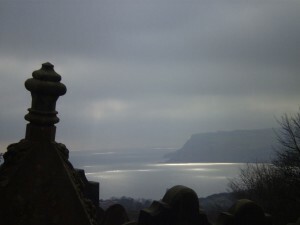 Certain designs, especially the plain, working Gansey, featured all along the coast. Look at the photos of Frank Meadow Sutcliffe; www.sutcliffe-gallery.co.uk hardly anyone’s wearing patterns associated nowadays with their home port. It’s also interesting to compare Sutcliffe’s patterns with those recorded & copied by Michael Pearson less than 100 years later. Having said that, a Scottish Gansey is different from a Yorkshire one. The Sheringham ones might have been knitted by the fairies, so fine were the needles. Hebridean Ganseys have one pattern on the yoke & another on the chest & back. Rope & Ladders, a classic Whitby pattern, was found in Katwijk, a Dutch fishing port. Some patterns crop up in more than one place. Broadly speaking it’s possible to identify a region by its Ganseys, but be warned; the chandlers’ shop Ganseys’ patterns weren’t necessarily traditional to the area in which they were bought. It’s one thing chasing a fisherman into a blind alley to get the pattern off his back but when looking at old photographs, beware of these red herrings. “She’s got to go, Ted ..” "She's got to go, Ted .."